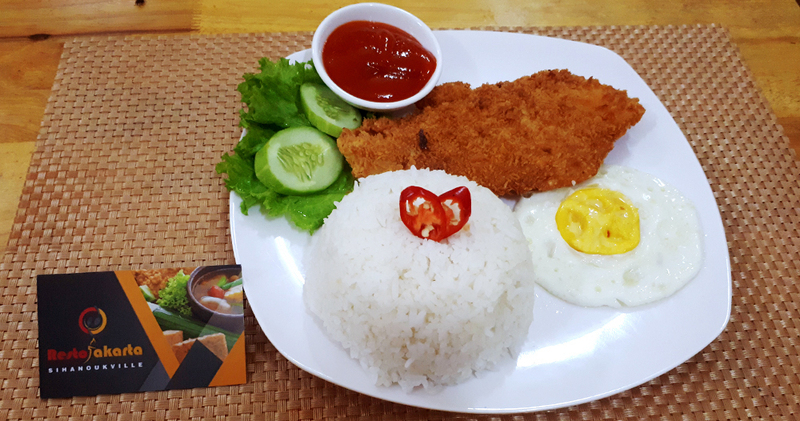 Chicken katsu (chicken pieces (Japanese: チ キ ン カ ツ Hepburn: chikinkatsu)) or tori katsu (torikatsu (鶏 カ ツ)) is a Japanese dish that is also popular in Hawaii. Consisting of fried bread cuts, one to two centimeters thick, sliced ​​into bite-sized pieces or strips. Chicken butter flied is generally used. Usually salted, seasoned white and dipped in light flour, then dredged with added whipped eggs, then coated with bread crumbs before deep frying.